Wedding cakes are getting bigger and more elaborate, but unfortunately this also means an increase in cost. Wedding cake dummies, or fake wedding cakes are available to reduce the cost of your wedding cake. With the use of polystyrene, Styrofoam cake dummies, you can have the wedding cake you want but at reduced cost of a real cake. The polystyrene cake dummies can be used throughout the cake or just on certain layers. We can even cut out a wedge shaped piece out of the bottom tier of the wedding cake and replace it with real cake for cutting. 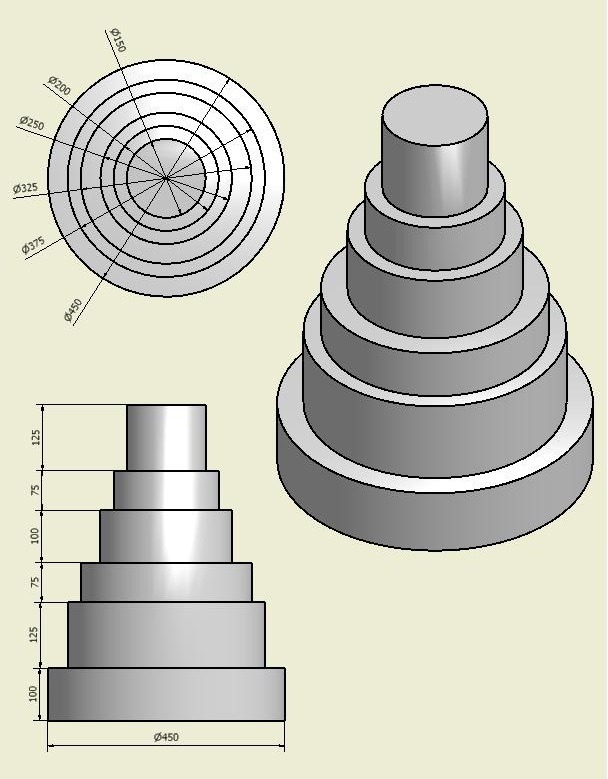 We can design a make wedding cake made from cake dummies for you or your cake supplier. 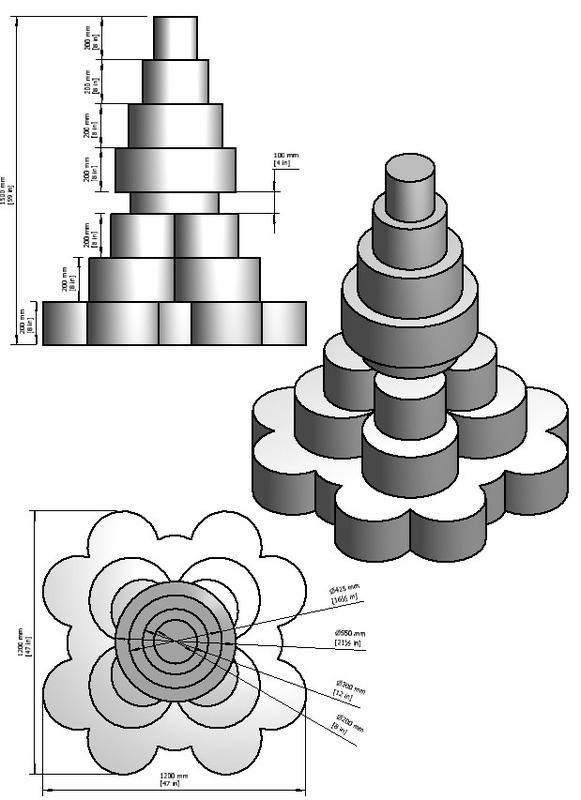 Just send us a sketch of what you require and we can produce a 3D cad drawing showing you what the wedding cake will look like before you order. Fake wedding cakes can be tiered round cake dummies like the design above, or very intricate designs. We can produce most shapes of cake dummy for your wedding cake. If you have a themed wedding, we can also shape the polystyrene into 3D models and shapes to follow your theme. Fake wedding cakes can be left for all the night guests to see as well as the wedding party. Once the fake wedding cake is taken to the kitchen, pieces of flat baked wedding cake decorated similar to the fake wedding cake can be cut and served to guests without anybody knowing. If you want a wedding cake made from cake dummies please contact us here and tell us your requirements or ideas. This entry was posted in Cake Dummies and tagged cake dummies, wedding cakes.